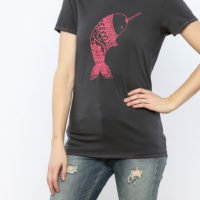 Love the Hug is hand printed, on a super soft, 100% organic cotton female crew t-shirt, and sports an amazing design made using only eco-friendly water based inks. 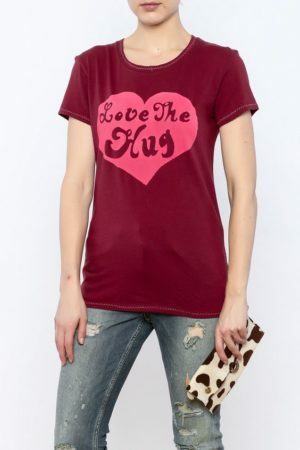 “Love the Hug” is hand printed, on a super soft, 100% organic cotton female crew t-shirt, and sports an amazing design made using only eco-friendly water based inks. You’re welcome. “Love the Hug” when shaking hands is not enough! Each shirt has unique stitching added to the collar, sleeves, and hem, our very own design flourish. 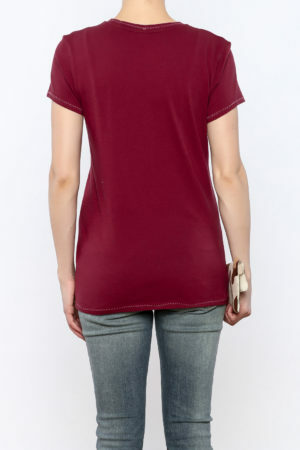 You may request shirts with no stitching if you prefer. Hugs connecting us with our fellow humans since the dawn of time. LIVE & LOCAL SPRING FEST 2019!